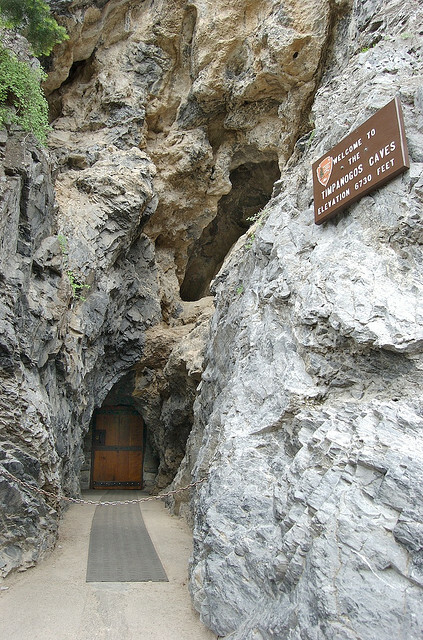 Utah’s Timpanogos Cave National Monument was closed earlier this week after a visitor inadvertently set off bear spray while on a tour of the cavern. In a Facebook post park staff report that a visitor who had been hiking with his family in the Yellowstone area over the last several days, had forgotten that he had a can of bear spray in a black nylon holster attached to the backpack he brought along on a tour on Tuesday afternoon. He only realized when, passing through a narrow section of the cave near the heart, the container brushed the cave wall and released a small amount of the noxious spray. It seems the safety clip that should have covered the trigger of the can had fallen off, allowing the accidental discharge. National Park Service staff were quick to act and contacted the manufacturer of the spray. Under the advice of NPS safety professionals, the cave was closed to the public for the rest of the day while it was ventilated and the leftover residue cleaned. The cave reopened on Wednesday, July 1st at 7:00am.